Bali and other islands of Indonesia are awesome for families. I took my own family a few months back and we had a blast! Jogja is the cultural capital of Java. It’s also home to incredible food and terrible traffic! Each of us had our own motorbike driver, and weaving our way through the streets on motorbikes was a huge adventure in itself. We stopped for tastings everywhere – a cookie factory, a candy shop, a restaurant serving traditional chicken, an open-air market and more. The kids even made their own gado-gado, the famous Indonesian salad with peanut sauce. After dinner, our drivers took us to a huge park, where locals drive around in brightly decorated electric cars and go-karts! On the island of Borneo, we ventured up a jungle river in a traditional “klotok” or jungle boat, to one of the few orang utang sanctuaries in the world. Waiting at the appointed spot, we saw nothing until the trees started swaying, the leaves started rustling and then as if out of nowhere, orang utang mothers and their babies slithered down the tree and came to within a few yards of us. The “King” orang utang came later -a huge male, weighing hundreds of pounds. Our boat would stop as if in the middle of nowhere, and we would snorkel in a sea that could have been an aquarium full of tropical fish. This is the Komodo cruise experience. 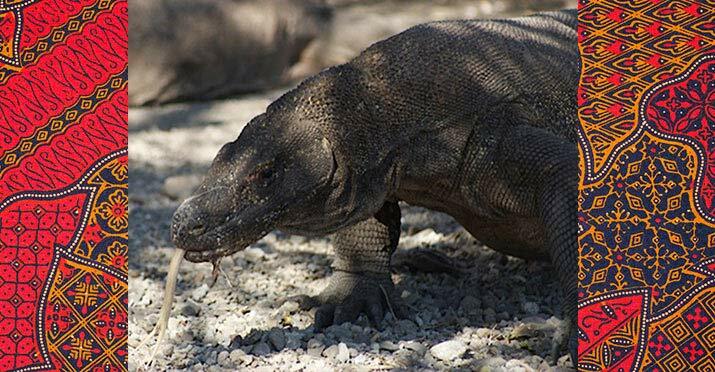 We also hiked the islands of Komodo and Rinca, home to the largest lizards in the world, the Komodo dragon, which amongst other features, try and eat their babies the moment they are born! Bali is an emerald green paradise, and hiking through the rice fields is a highlight. The kids handled it just fine, but I fell in, to the roaring laughter of locals plowing the paddy field. Later, we joined a family in their traditional compound and after lunch, my kids joined with local kids in their traditional gamelan orchestra, clanging gongs and xylophones. Waking before dawn, Daniel (aged 13) and I hiked down into the depths of Mt Ijen, a sulfur belching volcano. An unbelievable, once in a lifetime experience!